Sony Pictures Entertainment has closed its deal with Shane Black to co-write and direct Doc Savage, and Black is eyeing it as his next film, it was announced today by Doug Belgrad, president of Columbia Pictures, and Hannah Minghella, president of Production for the studio. Black co-wrote the screenplay with Anthony Bagarozzi and Charles Mondry, based on the hero of pulp novels, films, and comic books. Neal H. Moritz is producing the project with Ori Marmur through his Original Film banner. Michael Uslan will also serve as a producer on the film. Black most recently co-wrote and directed Iron Man 3 which has grossed more than $700 million since opening a little more than one week ago. 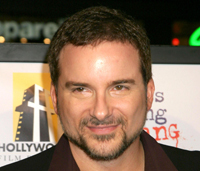 He previously wrote and directed Kiss Kiss Bang Bang. Sam Dickerman and Lauren Abrahams are overseeing the title for Columbia Pictures along with Minghella. Black is represented by David Greenblatt, WME and his attorney Alan Hergott.